This serum is targeted to solve 3 skin problems which is large pores, excessive sebum secretion and excessive dead skin cells. Meanwhile, the acid is mild enough to skin that it won't cause irritation an it has a very light and watery texture. 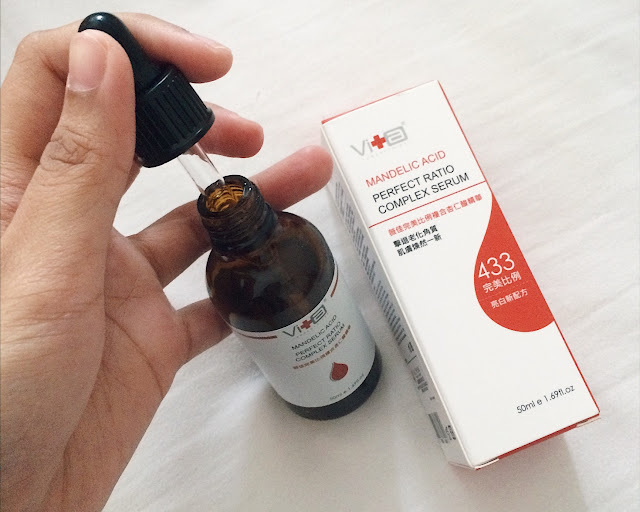 I have used this mandelic acid for a week and I love it soo much! For your information, I used it before I put my make up on, this serum helps my make up to stay fresh, oil-control and most important, my make doesn't look cakey! I bring this serum everywhere in my handbag just like my make up. 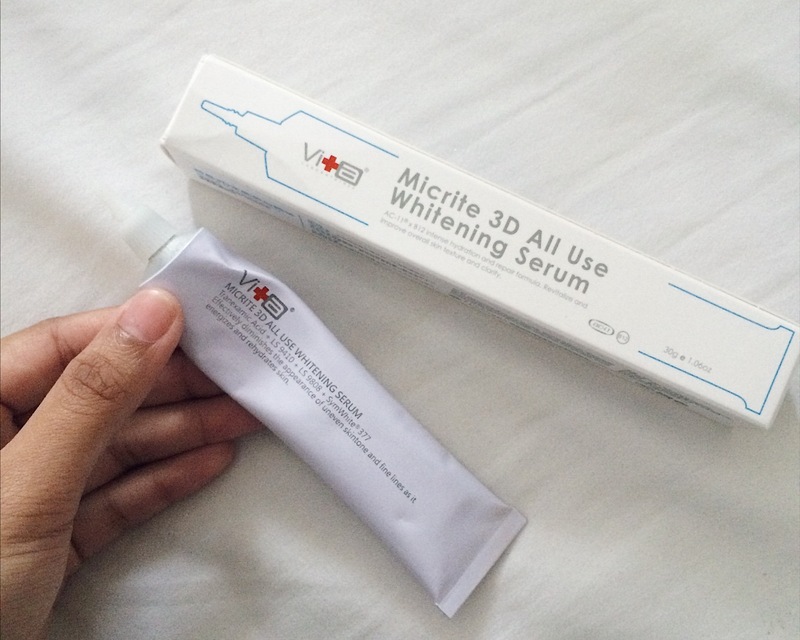 The whitening serum which contain tranexamic acid can balance out uneven skin tone. I actually have consumed tranexamic acid in pills for body whitening before haha so I know that this tranexamic acid inside this product is really useful for whitening. The liquid is highly concentrate whitening serum with intense hydration. It is packed with aluminium sealed packages to prevent the risk of contamination by external air pressure, moreover, this type of packaging in convenient because it easy to press out. Plastic containers are not used to ensure the quality of the product. Place a small pearl size of Skin Serum and gently smooth over face until absorbed. Apply AM and PM. Avoid eye area. For external use only. Ideal for dark spots, age spots, acne spots, dullness and uneven skintone. helps diminish the appearance of dark spots and hyperpigmentation on your skin. It makes your skin looks perfectly translucent. 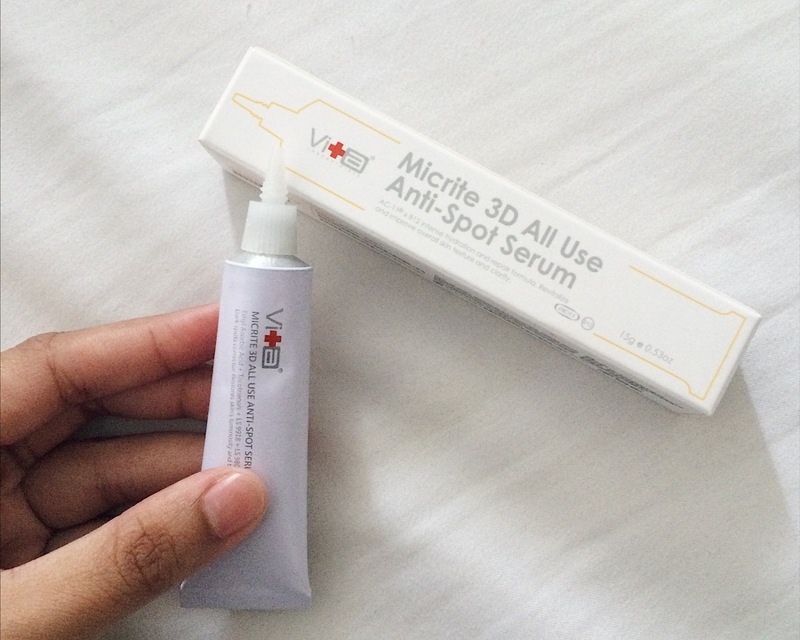 Swissvita Dark Spot Corrector with AC-11 is in serum form, it absorbed by the skin much faster. The liquid is concentrated, water-based, lightweight and doesn't leave a barrier on your skin. This means you get to see the benefits faster than ever. This dark spot corrector contains 3-O-Ethyl Ascorbic Acid, a better form of vitamin C proven to help lighten and brighten embaraasing dark spots caused by excessive sun exposure, hormonal changes and others. Vitamin C is potent and stable on skin, helping you achieve a brighter and flawless compexion without harm. Place a small pearl size of Anti-Spot Serum and gently smooth over face and neck, avoiding delicate eye areas. Apply AM and PM. All products: + Safe for all skin types. Non-greasy, water-based. free from paraben, fragrance & alcohol. You can visit Allyoung.my website or click this directly.